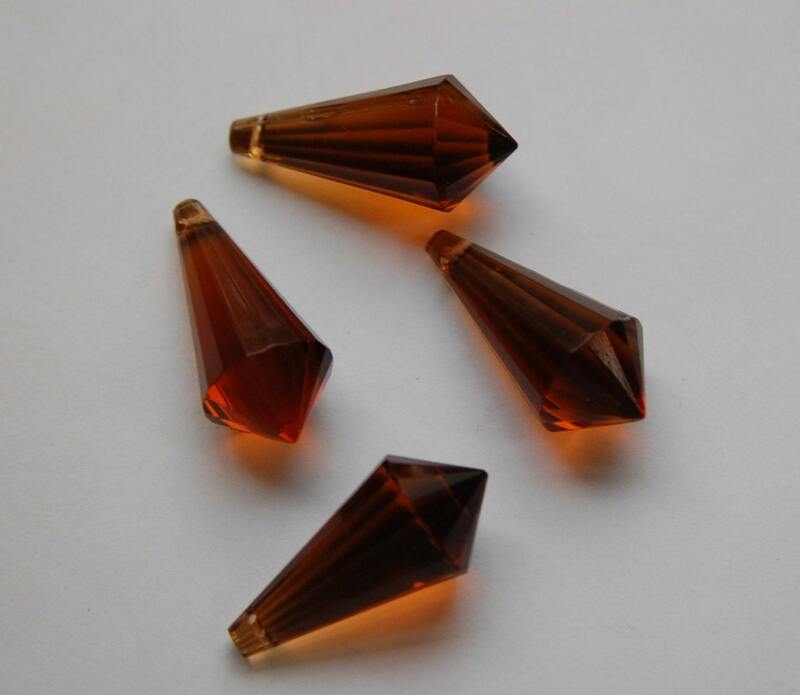 These vintage plastic drops were made in West Germany. They are done in an awesome pointed teardrop shape. 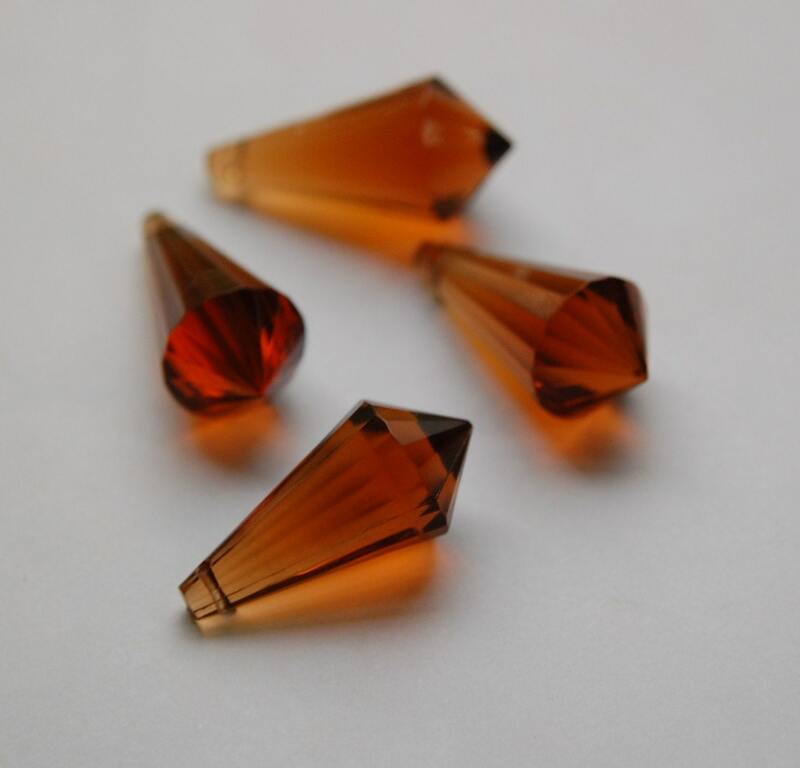 These are a translucent topaz color. They measure 30mm x 14mm. You will receive 4 of these. These will be great for my suncatchers. Very good quality vintage stash! every item I bought is amazing!